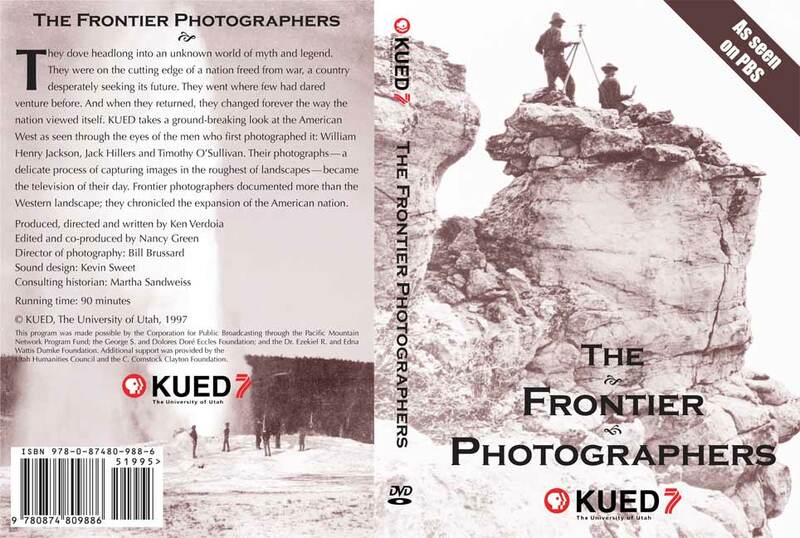 A groundbreaking look at three men who first photographed the American West, The Frontier Photographers documents the unprecedented work of William Henry Jackson, Jack Hillers, and Timothy O’Sullivan as they explored and captured on film the mysterious spaces of the nineteenth-century West. Carrying hundreds of pounds of delicate equipment and entering unfamiliar worlds, these photographers documented the transformation of the West from a place raw and largely unknown into a landscape of development and change. As stunning as these images were to the photographers’ contemporaries, they continue to evoke awe and wonder in modern viewers as they offer a sense of the breathtaking Western landscapes before they were tamed and demystified by settlement and expansion. The photographic record created by these three men has left a legacy of deep connection to and appreciation for the land that is central to the Western experience. Distributed for KUED, public broadcaster of the University of Utah.